A certain someone will laugh if they see this post… far too long, it’s (almost) inexcusable. Let’s not state the obvious, hmm? Let us focus on what matters. Re-familiarized myself with the menu. Delectable dishes are still present. Which means, still relevant. And still delicious. 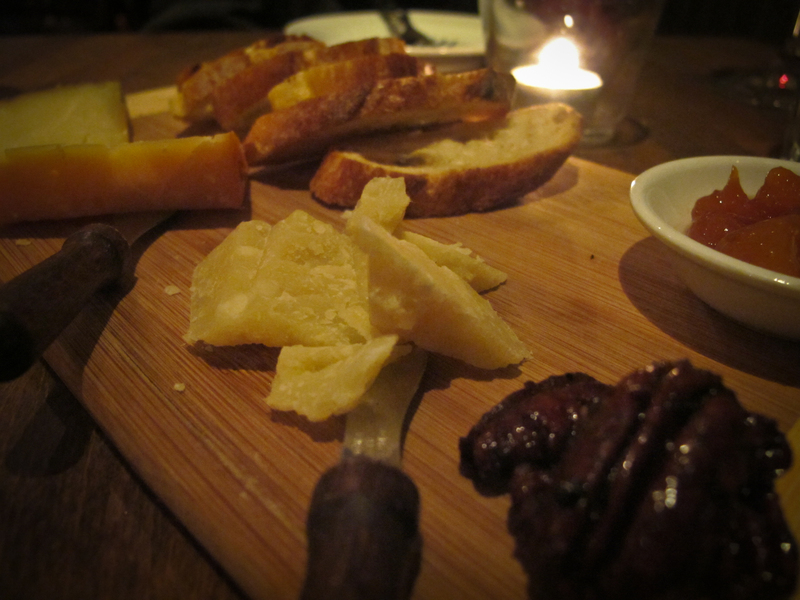 First impression of Enoteca was one of utter delight. An intimately warm, yet vibrant space. A space perfect for a catch up with dear friends, a first date, a special anniversary, a birthday celebration, a Sunday family dinner… lit by candlelight, it lures you in and invites you (and your guests) to order a glass of vino and peruse a menu inspired by local seasonal ingredients. A menu filled with mouth-watering antipasti, secondi, house made pastas… and of course, the cheese cave. The cheese cave alone demands you peek in the cellar, to ask for recommendations – sample a little moliterno from Sicily, pasteurized sheep’s milk from Calabria, chèvre noir from Quebec – and then plan for next visit. We missed the vento d’estate our first time… “pasteurized cow’s milk, veneto, aged in grass from the farm it is produced, buttery with a hint of lavender” Sounds positively lovely, doesn’t it? 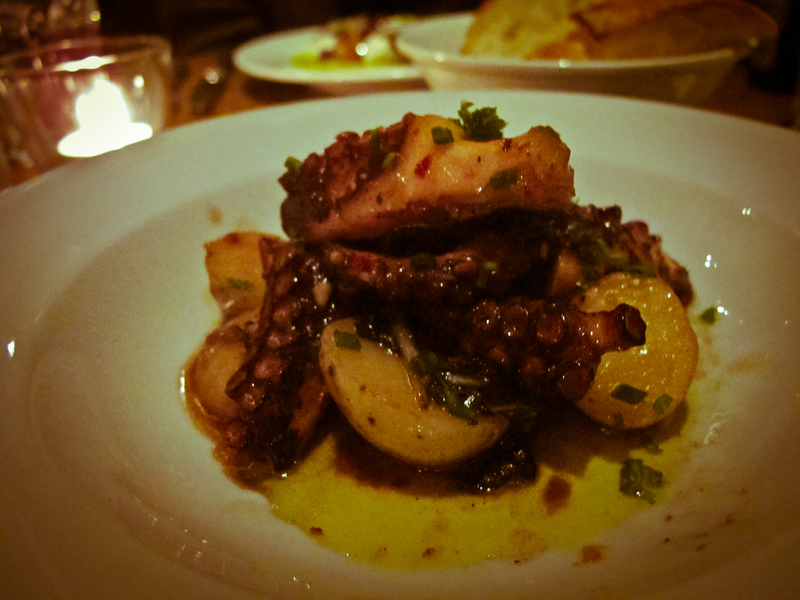 What I can attest to: Enoteca = best grilled octopus in the city. Absolutely rave-worthy. And those who have tried will resolutely back me up. 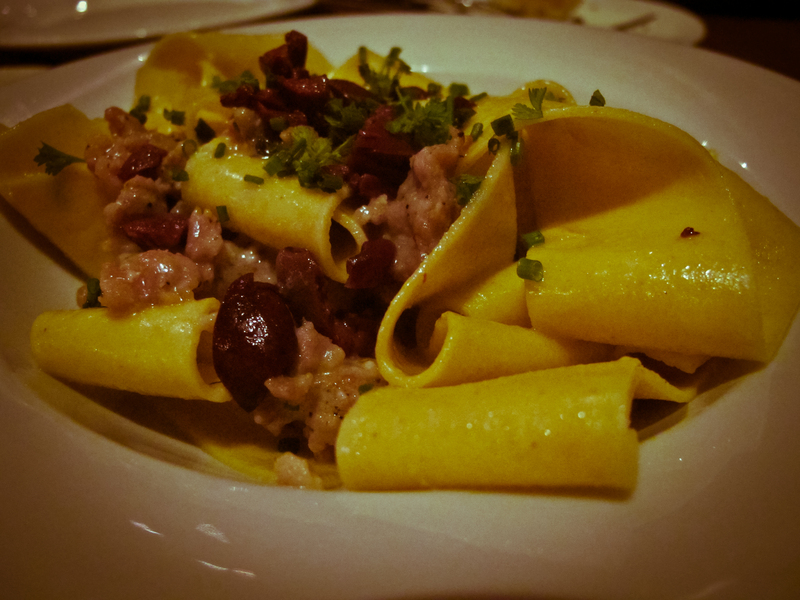 Fresh pappardelle with hearty rabbit ragu was satisfying, but out-of-this-world-pasta continues to lie with Tutti Matti. 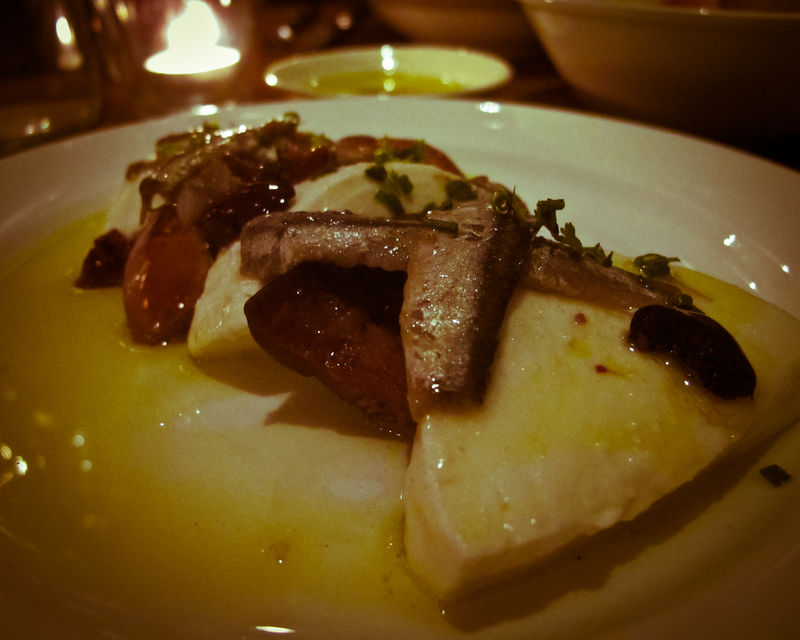 Regardless, keen to re-experience and by finally posting, brings this lovely Italian restaurant to mind again. Who wants to join? cheese cave! parmigiano reggiano dop, brillo pecorino divino etc. (aka i cannot remember).